A data revolution is quietly unfolding in sub-Saharan Africa and empowering sustainable development and resilience for a new generation of policymakers. Variability in crop and pasture, whether caused by weather, natural disaster, pests and diseases, or political conflict, is arguably the greatest threat to resilience and food security in the Horn of Africa. At the same time, the building blocks of national statistical systems are weak and data challenges are a crushing reality in Africa. 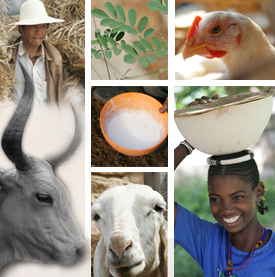 Welcome to Livestock Systems and Environment blog.